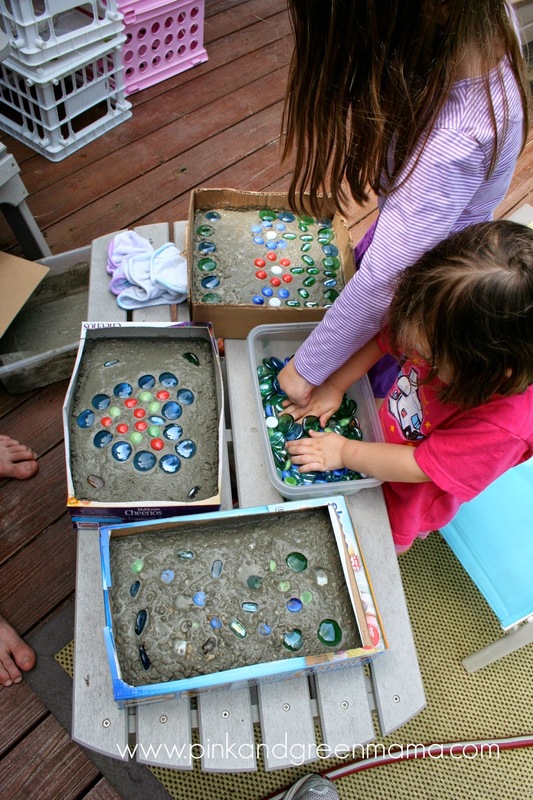 The last project from Daddy Camp was a huge hit. 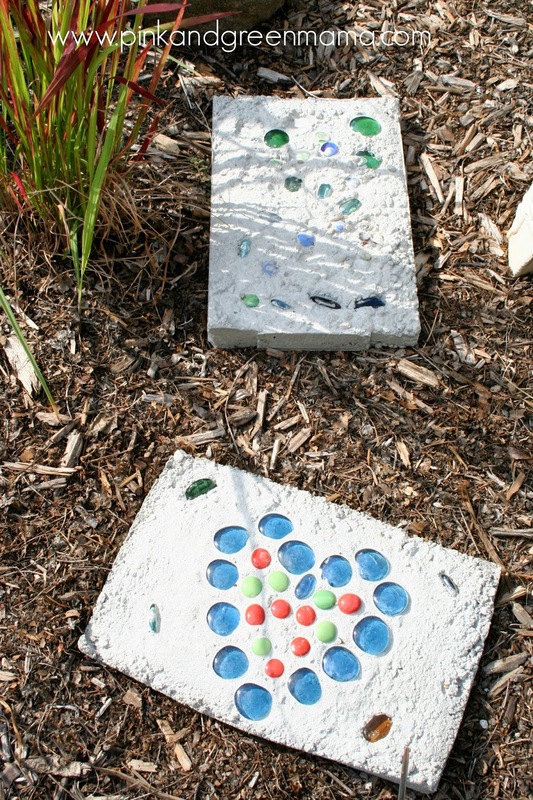 The girls made custom garden stepping stones for our garden. 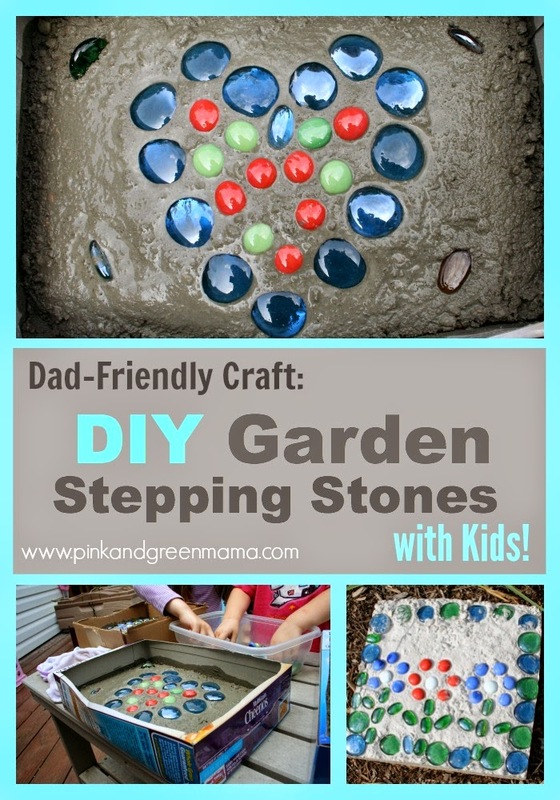 We found the directions at Frugal Family Fun blog. 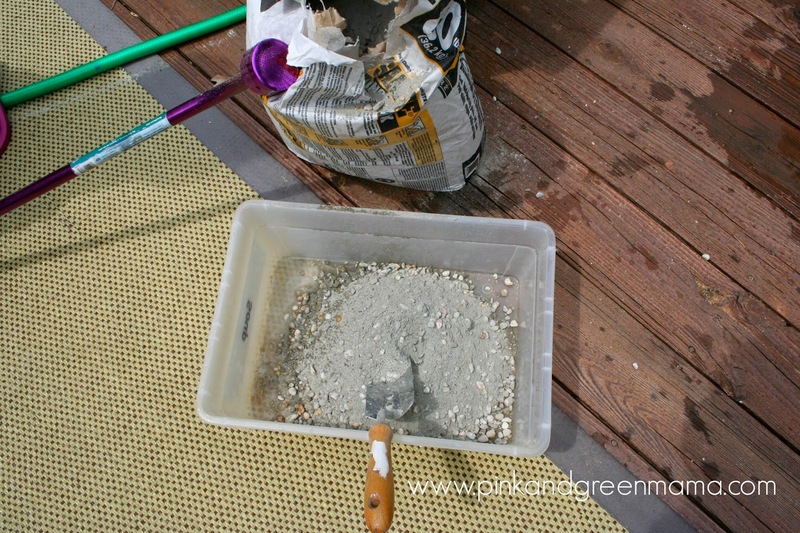 My sweet hubby mixed up a batch of quick-drying cement on the deck. 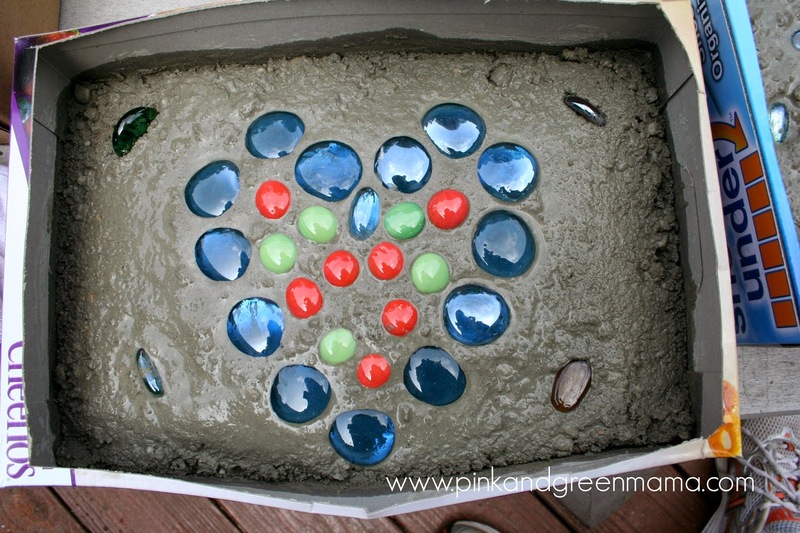 He poured it into the boxes, then the girls added glass stones. I heard so much giggling out on the deck, I had to wander downstairs and go investigate. I grabbed my camera and documented the project -- they did a fantastic job. 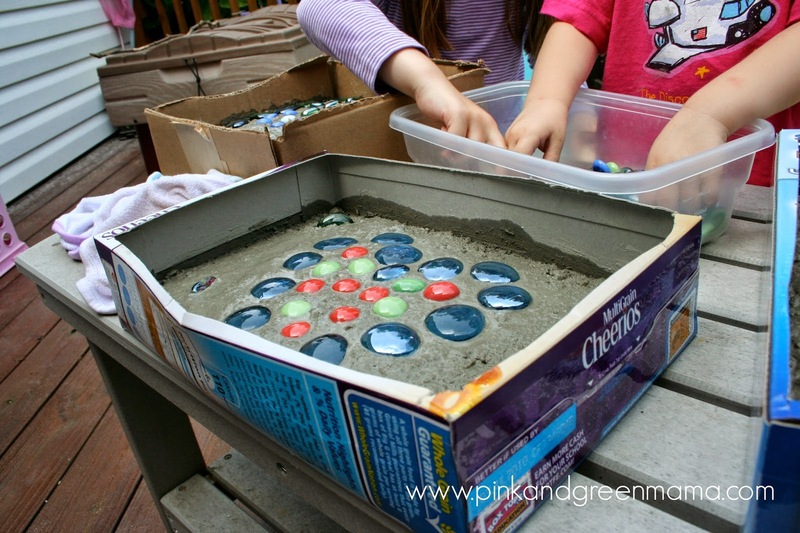 We have plenty of concrete mix leftover and plan to repeat this project a few more times!! They put them out in the sun to dry. 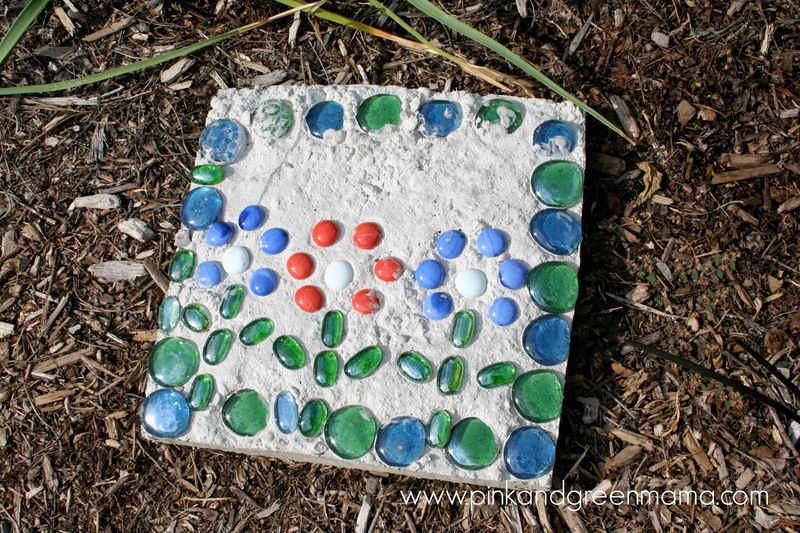 Such a fun and easy project and cheaper than one of those make your own stepping stone kits!